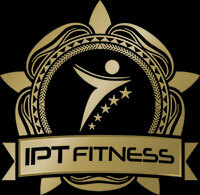 Another IPT Fitness ‘yummy mummy’ hits the scene. Emma did not need to ‘lose weight’ to begin with, however through taking up weight training and dedicating herself to a nutritional plan she has not only dropped 6% body fat (5kg of fat), and 3 inches off her waist and hips, she has sculpted and toned her figure, completely transforming over the last 5 months. Admiringly Emma is a full time working Mum and did not even to let a car crash stop her goal of a beach ready bod. To say it has been a pleasure to work with you Emma is a massive understatement…. ”I initially booked a session for my husband Paul and I back in March this year. At the time I was a little concerned about my husband’s diet and lack of fitness but I too was guilty of eating and drinking the wrong things, so decided enough was enough. Aimee was brilliant from the first phone call. After the consultation, initial photos and body fat tests we were shown just what would be expected as Aimee ran us through our first workout. From then on we saw Aimee on a regular basis, each time getting weighed and measured followed by another gruelling workout. It was tough but the results were immediate. Aimee helped develop a program that we could carry out at our gym at home so there were no excuses for missing a session. Unfortunately two months ago I was involved in a nasty car accident in which I was injured. This really put a stop to the vast majority of the exercises IPT had provided but that didn’t stop Aimee. She took the time to listen carefully to the medical advice I had been given and even recommended some exercises to help strengthen my back. That paired with a diet tailored for my needs meant I was still able to move forward positively. Without Aimee I would have probably just given up.